Mercury is a poison. It doesn’t belong in the human body. Yet dentists continue to put it in people’s mouths via “silver” amalgam fillings – fillings that are actually about 50% mercury. More than two-thirds of Americans have had at least one. The average adult has at least 10. And despite ADA claims, the mercury in them does not become inert once the filling is placed. That would require magic. In reality, vapor is released constantly, and it circulates through the whole body, eventually accumulating in all tissues but especially the kidneys and liver – major excretory organs – as well as the brain. The longer the fillings are there, the more mercury your body stores and the greater your chance of becoming very, very ill. Indeed, mercury poisoning has been implicated in a number of chronic illnesses, including Alzheimer’s, Lou Gehrig’s disease, MS, Parkinson’s, CFS and fibromyalgia. So why doesn’t everyone with mercury fillings get sick? In children, the symptoms may manifest as an autism spectrum disorder or ADD/ADHD. Thus, those who are already dealing with chronic illness would do well to look into possible dental causes. But it’s important to make sure that the mercury is in fact the main problem or if other causes are involved. Seldom is any case completely straightforward. We must look at all contributing factors and then work with the patient to prioritize treatments in an effort to bring the most healing as quickly as possible, while reducing the risk of creating illness elsewhere in the body. Indeed, if mercury removal is pursued, any illness could get worse if specific safety precautions are not taken to minimize the amount of vapor the patient is exposed to during the procedures. Current symptoms can be aggravated. New ones can be triggered. In a way, this seems to me even more unconscionable than placing the mercury fillings in the first place, worsening the problem the practitioner is purporting to cure. Thus, those who have amalgams but are not ill or experiencing symptoms should especially consider the risks and benefits of removal versus those of keeping them in place. We’ve already looked at some of the risks of leaving them alone. As for benefits? You don’t have to deal with the trauma of extensive dental procedures, and you do get the short term financial savings – though at the risk of greater costs down the road. The benefits of removal, on the other hand, include improved health and function, as well as a more attractive smile, since the replacements will contain no metal and look as much like your natural teeth as possible. Also, in placing the new restorations, we can adjust your bite so that your teeth come together better. This, too, can benefit your health, as proper occlusion supports proper breathing and posture, which can prevent pain and increase energy. The risks, of course, include the toxication mentioned above. So the key is: what do we do to reduce risk? The ideal treatment begins before removal, in preparing your body to heal – especially if you are already ill from mercury poisoning. 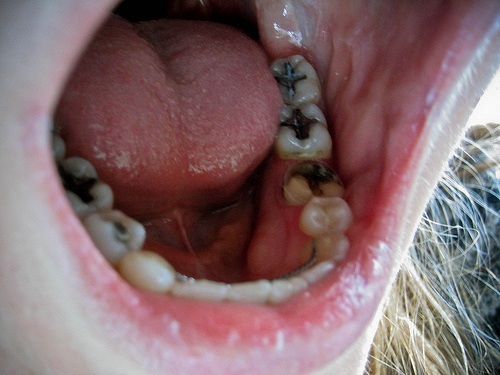 Again, you got sick because your body couldn’t get rid of the mercury leaching from your fillings. That mercury then accumulated in your body tissues. Thus, we must help your body become more able to excrete it once the source is removed. Most often, this treatment involves nutritional changes, supplementation and the use of homeopathics, and it normally continues through post-removal detox. At that point, you may choose to pursue other treatments, as well – chelation therapy, body work, energy medicine, sauna and others that aid the body in releasing toxins. Also important is what you replace the amalgams with. Before removal, testing should be done to determine biocompatible replacement materials. The last thing we want to do is replace one toxic material with another, or one that may cause an allergic response. For the goal in mercury removal, of course, is to enhance your health. Consider your options. Inform yourself as to the risks and benefits. Make a truly informed choice.